There was a time when an Asian play could only reach as far as the local community centre around the block. But in today's Britain we can proudly watch a musical created by a Brit-Indian director, about a Brit-Indian girl and her football journey, in the heart of West End. On Thursday 25 June, as I walked up to the Phoenix theatre, a meandering queue, mostly comprising of American tourists, waited eagerly to watch Jess-Jule go on their journey from UB2 (Southall) to US, making their dream come true. The musical could not have released at a better time, as Britain prays for it's women's team to win the World Cup in Canada. 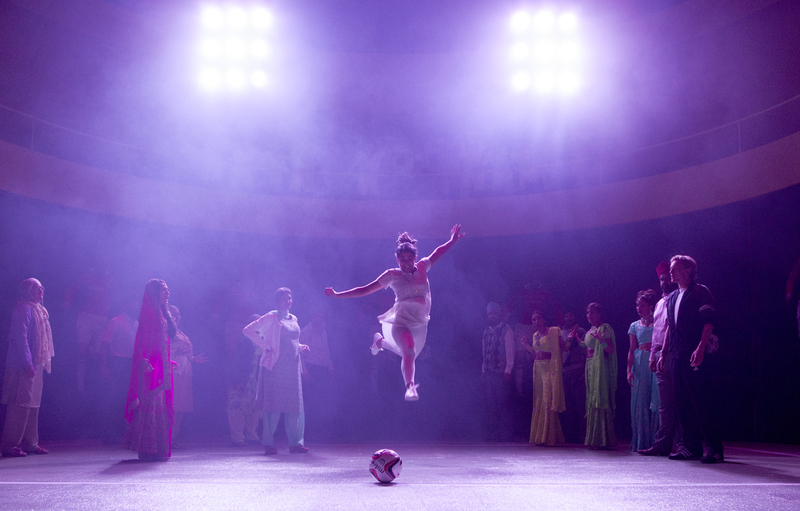 Adapted by Gurinder Chadha and Paul Mayeda Berges from the 2002 smash hit film of the same name, Bend it Like Beckham: The Musical follows Jess, a talented young football player torn between following in the footsteps of her hero David Beckham, or living up to family expectations of university, career and marriage. The diverse and talented cast of the musical included Natalie Dew as football crazy Jess with Lauren Samuels as Jules, a player with the Harriers, a local women’s football team, and Jamie Campbell Bower as their coach Joe. Sophie-Louise Dann plays Paula, Jules’s Mum, with Jamal Andréas as Jess’ good friend Tony. 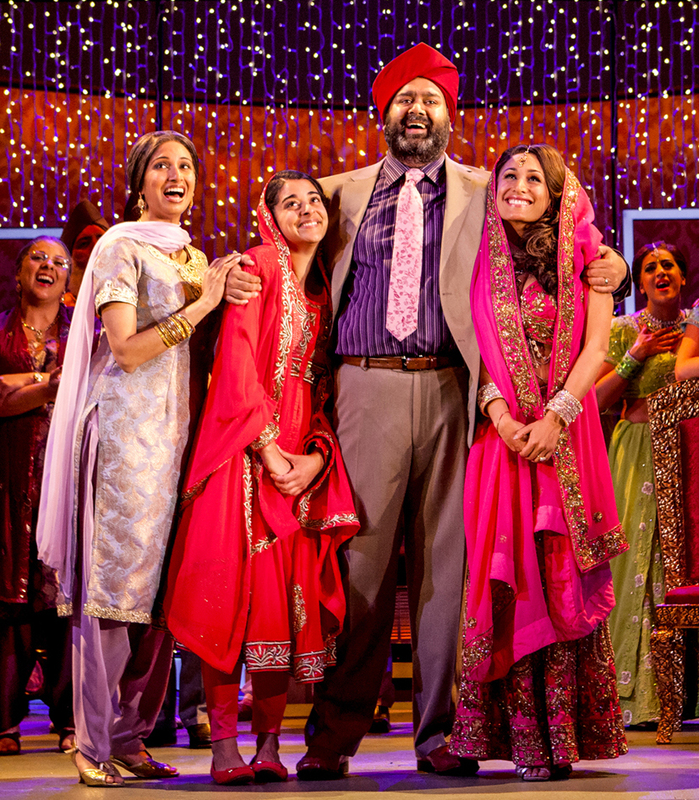 Priya Kalidas plays Pinky, Jess’ sister, with Tony Jayawardena and Natasha Jayetileke as Jess’ parents, Mr and Mrs Bhamra. Natalie as Jess and Priya Kalidas as Pinky are frankly much more convincing in their roles, than Parminder Nagra and Archie Panjabi in the 2002 film. However the play lacks the film's edge on social issues- the problems of women's empowerment, or that of a British teenager growing up as a part of a conservative Indian family in the west- are not as distinctly and powerfully portrayed, as it was in the film. The soaring joyous melody scored by Howard Goodall (Love Story, The Hired Man) with the collaboration of pioneer of the British Bhangra sound, composer and performer Kuljit Bhamra and lyrics by Charles Hart (Phantom of the Opera, Aspects of Love, Love Never Dies), the music of Bend It Like Beckham is a successful East-West fusion. The best was the voice of Rekha Sawhney, who not only looked gorgeous in Indian attire, but her sweet and melodious voice, especially during the 'vidai' song was touching beyond words. Overall a happy watch- colourful, joyous and entertaining- created by Gurinder Chadha magic. 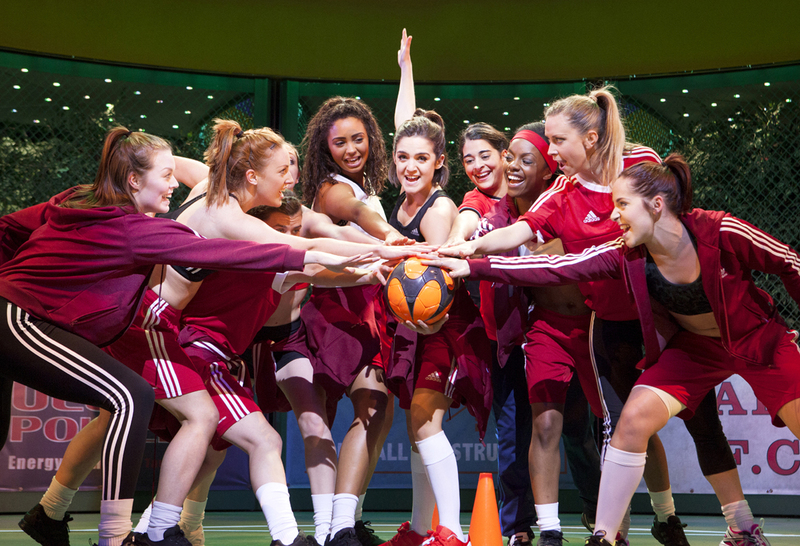 Bend it like Beckham is now playing at the Phoenix Theatre till October 2015.